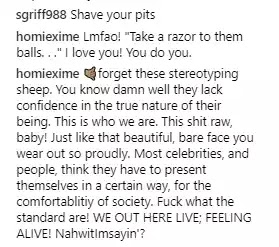 American actress/singer Kiersey Clemons, shared a photo of her unshaved armpit and it generated so much controversy. In the photo, Kiersey is seen wearing a sleeveless top and has her hand around Australian actress Toni Collette. 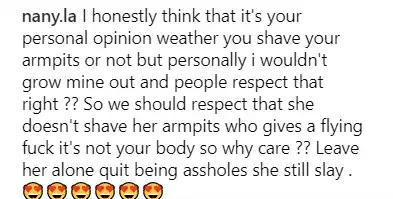 It is a really beautiful photo but, as expected, the comments concentrated on her unshaved armpits. 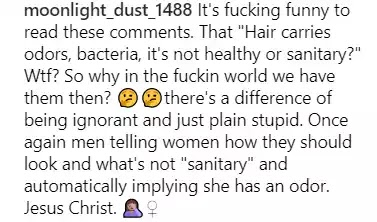 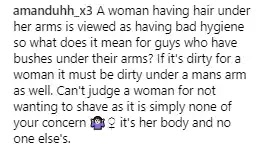 Some criticised her for not shaving while others defended her. 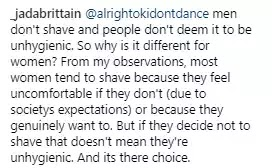 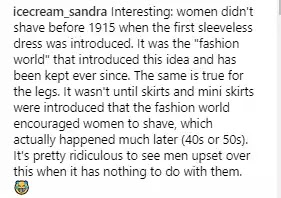 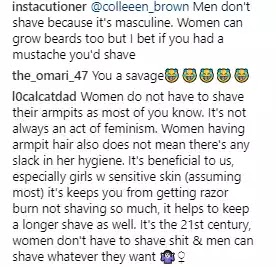 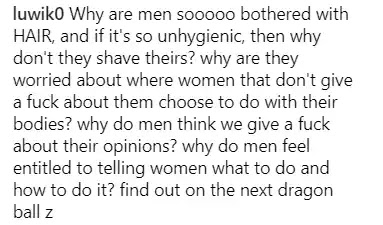 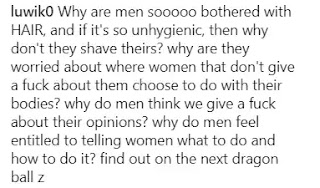 It led to a debate about the double standards set by society where men feel it's OK not to shave their armpit and leg hairs but shame women when they don't. 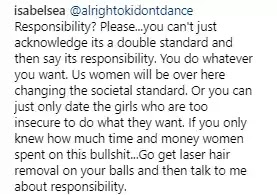 See some of the comments below.